As a specialist in periodontics, Dr. Anson is recognized as one of the leading experts in implant dentistry. His innovative techniques in aesthetic dental implant and periodontal procedures have garnered the respect of colleagues worldwide. Dr. Anson has presented his research in dental implant treatment and bone grafting to dentists and specialists internationally and has published numerous articles in the scientific journals. In addition to advancing the field of implant dentistry, Dr. Anson has also served in numerous leadership positions in professional organizations. He is a former board member and President of both the California Society of Periodontics and the Los Angeles County Dental Society and is presently serving as a Trustee for the California Dental Association as well as on committees of the CDA. He also serves on the Advisory Board for the Institute for Dental Implant Awareness, advancing quality implant dentistry throughout the country. Utilizing the latest technology and advanced microsurgical procedures, Dr. Anson is able to restore healthy smiles, achieving optimal results while maximizing patient comfort throughout treatment. 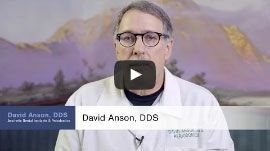 Considered one of the premier surgical specialists in implant dentistry, Dr. Anson’s expertise ranges from single aesthetic implants to the most complicated full reconstruction cases. Dr. Anson is renowned throughout the profession for the innovative techniques he developed to achieve consistently superior aesthetic results with Smile Enhancement and sculpting procedures. 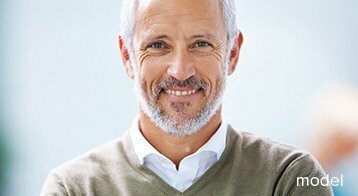 As an experienced, board-certified periodontist in Beverly Hills, Dr. Anson is the premier choice when it comes to periodontics and dental implants. Patients in Beverly Hills and the surrounding areas can rest assured that as a dental implant specialist, Dr. Anson has the training, experience and knowledge to make your visit to our office as painless as possible. We’re always implementing new technology and continuing our education, meaning less time and cost for your periodontic or dental implant procedure. 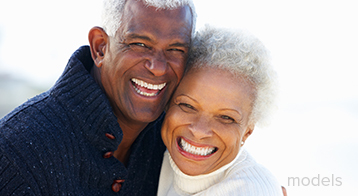 Contact us today and learn how we can transform your smile!